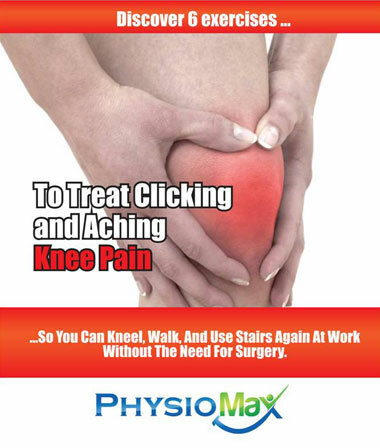 To All Knee Pain Sufferers DISCOVER EXERCISES THAT WILL HELP YOU WALK, USE STAIRS AND SIT LONGER WITHOUT KNEE PAIN. Do you struggle in the stairs because of knee pain? Do you avoid long car trips because of your knee pain? Do you have difficulty kneeling down because of your achy knee? Do you avoid playing sports because you're worried your knee will let go under you? DOWNLOAD THE FREE REPORT AND START YOUR JOURNEY TO RECOVERY TODAY!